As you can likely tell from our name, Washington DC SEO, we’re a company based in and around the nation’s capital. But we provide local SEO for businesses all across the country, and are eager to have the opportunity to do the same for you as well. Our high quality and affordable local search engine optimization services can be tailored to your business and your brand no matter where you are, or what you do. From Miami to Maine, from Seattle to Houston, New Orleans to Los Angeles, and up and down every hidden nook and cranny of the country, our local SEO packages can help you increase your presence, find new prospects and customers, and ultimately grow to new heights. Of course, there are many local SEO companies out there, but if you’re ready to get started with one with a wide range of experience, a track record of success, and reasonable prices that will help you get ahead and stay ahead, then contact us today. 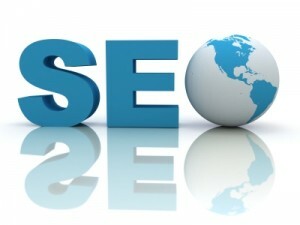 The local SEO solutions that we provide can be entirely customized to your goals, your market and your region. Whether it’s solely onsite optimization or it’s a combination of SEO and interconnected social media campaigns, we’ll get the job done for you. We’ve provided local SEO for businesses from coast to coast and will be ready and waiting to show you our high quality and affordable local SEO packages today.